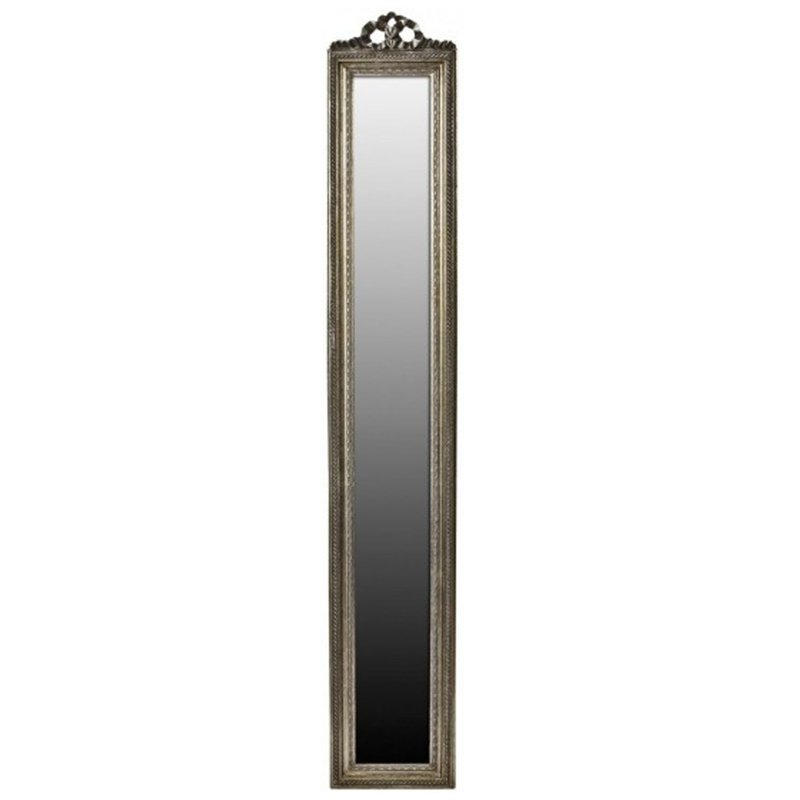 This is a beautiful mirror with a stunning slim shape. It also has a gorgeous ribbon design with a magnificent silver colour. this mirror truly does look incredible. It's got an antique-french style which is sure to add elegance to any home. It'd fit in brilliantly in any room, making it feel a lot more complete whilst also standing out and impressing anyone who views it.